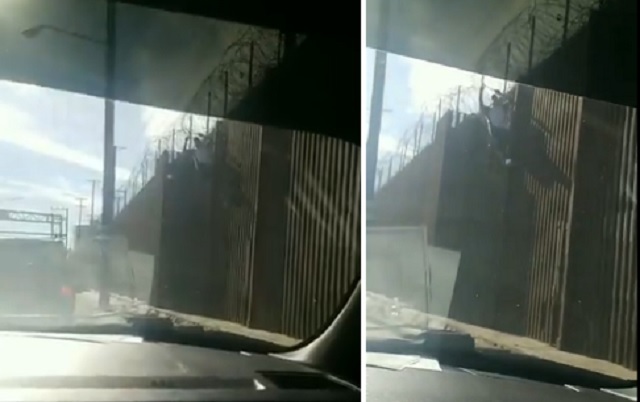 A Twitter user shared video on Wednesday of a migrant "clipping" down the barbed wire just recently added to the metal fence at our border separating Calexico and Mexicali. "Crossing from Mexicali to Calexico and we found this happening on the border," Ashley Nicole tweeted. "Not only is he clipping the wire but he's had enough time to add a ladder THAT REACHES THE TOP OF THE FENCE.. WE NEED BORDER SECURITY." President Trump is scheduled to visit Calexico on Friday.